Liveright Publishing Corporation, 9780871407399, 296pp. When she was just seventeen, independent and ambitious Elizabeth Scarboro fell in love with irreverent and irresistible Stephen. She knew he had cystic fibrosis, that he was expected to live only until the age of thirty or so, and that soon she'd have a choice to make. She could set out to travel, date, and lead the adventurous life she'd imagined, or she could be with Stephen, who came with an urgency of his own. In choosing him, Scarboro embraced another kind of adventure--simultaneously joyous and heartrending--staying with Stephen and building a life in the ten years they'd have together. The illness would be present in the background of their lives and then ever-more-insistently in the foreground. Beyond the illness, though, is a breathtaking love story. In crystalline prose, Scarboro describes the pulse of her relationship with Stephen with all its illuminating quirks. Like any young couple, they agonize about career choices, attempt ill-fated road trips, bargain about whether to adopt a puppy, and host one memorably disastrous Thanksgiving. They navigate the growing pains of their twenties alongside the twists and turns of life-threatening disease; if their telephone rings at midnight, the caller might be a heartbroken friend, or the hospital offering a new set of lungs. As time goes on and trouble looms, the dangers of Stephen's illness consume her, just as they will consume readers who feel they have come to know this extraordinary couple. 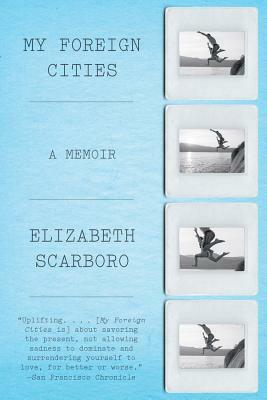 Scarboro tells her story of fierce love and its limitations with humor, grace, and remarkable bravery. My Foreign Cities is a portrait of a young couple approaching mortality with reckless abandon, gleefully outrunning it for as long as they can.